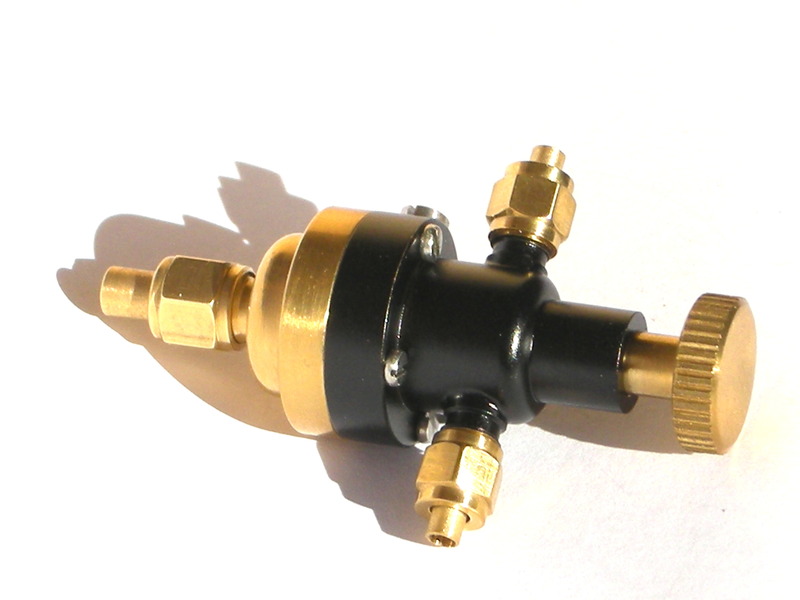 Our steam pressure activated Automatic Gas Regulators and Gas Stop Valves are based on classic steam technology, miniaturized and manufactured to the highest standards of precision and are designed to fit seamlessly and aesthetically pleasing in to a steam plant. We have payed particular attention to achieve reliability, robustness and ease of use. All units are carefully tested after completion. No electronic components prone to defects due to heat and moisture. No wires festooned all over your steam plant ruining it’s good looks. Particularly important: Our Gas Regulators and our ELEGANCE Gas Stop Valve function reliably even when you lose control of your model due to total failure of the RC-Gear. 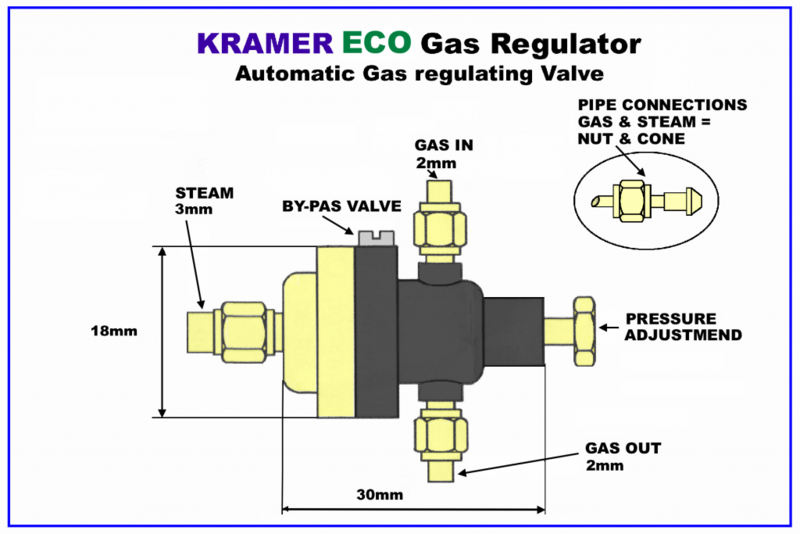 The purpose of our ECO Gas Regulator is the fully automatic, constant control of the heat produced by the burner to keep the boiler pressure at the preset level no matter how much steam is momentarily used by the steam plant. This is achieved by a balance between boiler pressure, gas pressure and the chosen settings. Thanks to its design with a single membrane the ECO Gas Regulator is our most compact regulator. While suitable for a wide range of applications it is particularly well suited for smaller Models and their steam plants. Adjustable range of pressure: 1.5 bar – 4 bar (5 psi – 12 psi)The variations of the adjustable boiler pressure of between 1.5 bar (5 psi) up to 4 bar (12 psi) are limited to a maximum of 0.4 bar relative to its intended value. 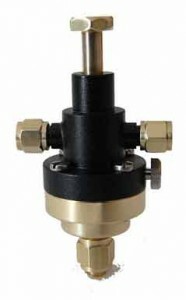 Pilot Flame: Separately adjustable.Our ECO Gas Regulator is equipped with a separate adjustable by-pas valve, this makes it possible to precisely adjust the gas flow thru the by-pas so that a stable, reliable pilot flame (minimum flame) can be achieved for a wide range of burner types and sizes. 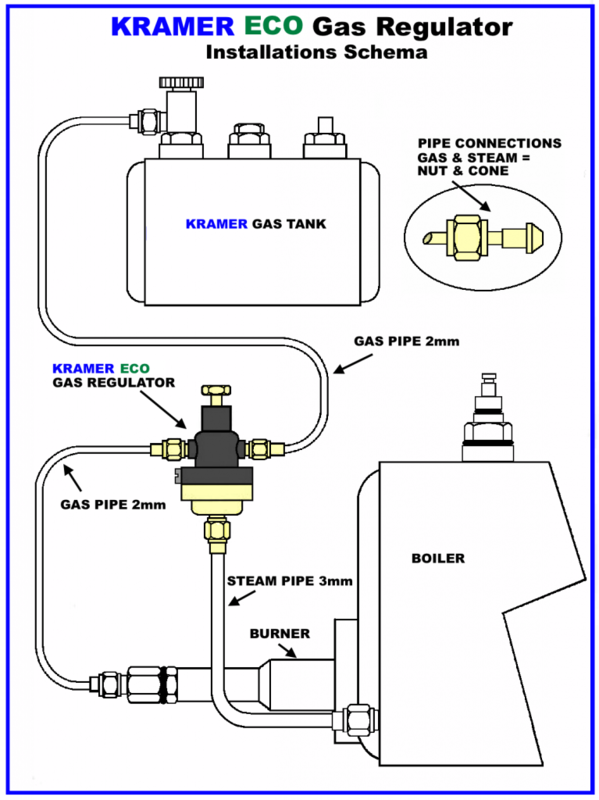 The installation of the ECO Gas Regulator improves the comfort and ease of running a live steam plant markedly because it does completely away with the constant need to manually control and readjust the burner. The endurance (running time) increases considerably because firstly less gas is burned needlessly and secondly water wastage by blowing it as steam out thru the safety valve is almost completely stopped. All control elements are easily accessible, readjusting the pressure setting is always possible, even while the steam plant is running. 1 x Set of pipe connections (nut & cone) for 1 x 3mm & 2 x 2mm pipes. 1 x Piece of brass pipe 3mm diam. 2 x Pieces of brass pipe 2mm diam. All prices are given in Swiss Franks (CHF). Also not included are any duties and taxes due outside of Switzerland.